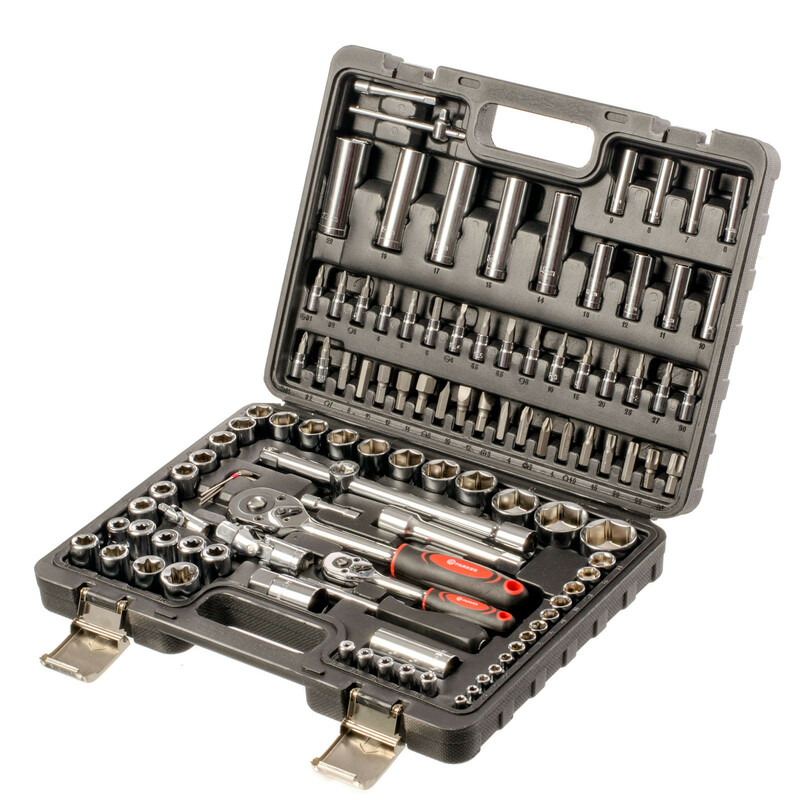 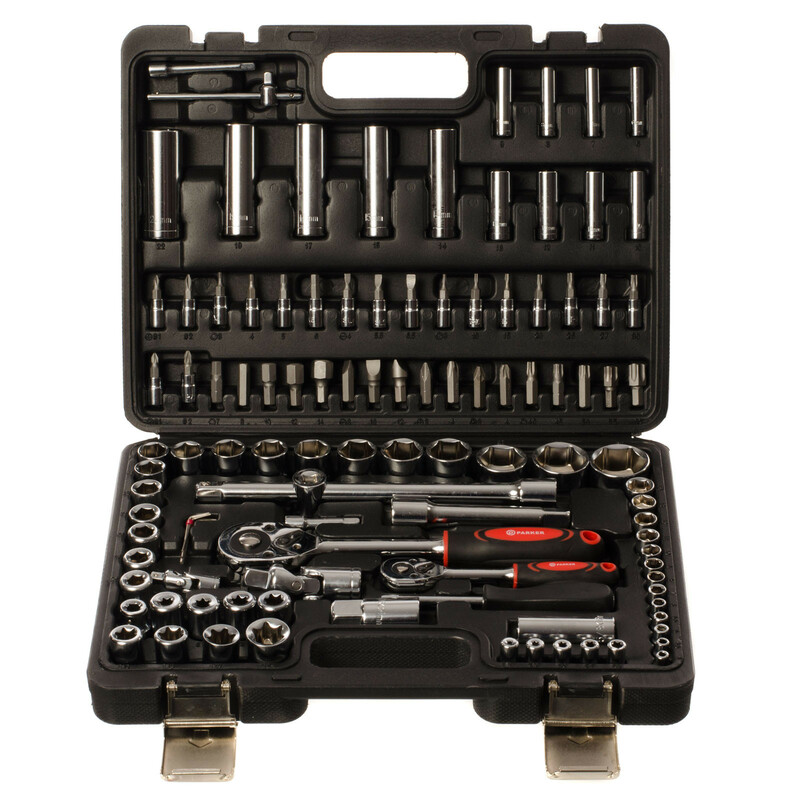 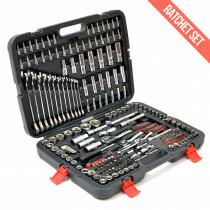 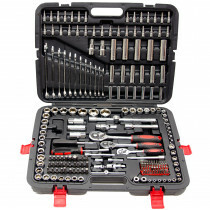 This huge 108 piece socket set has been manufactured from abrasion and corrosion resistant Chrome Vanadium for a high quality set of tools suitable for helping you to complete various jobs around the home, garage or office. 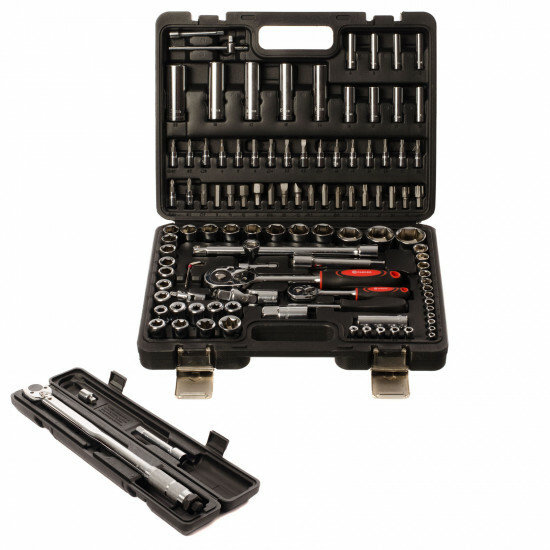 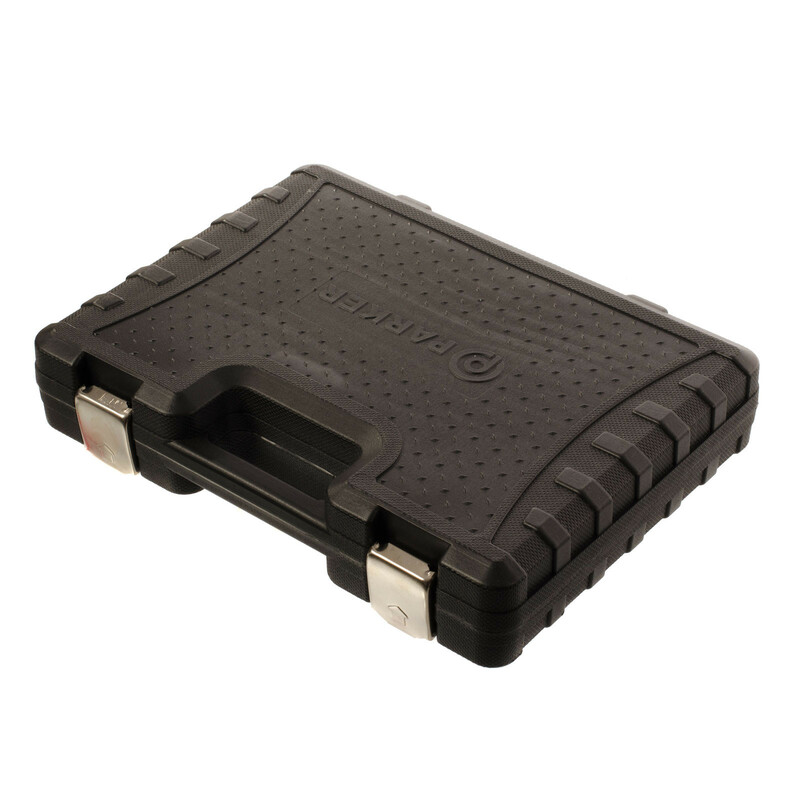 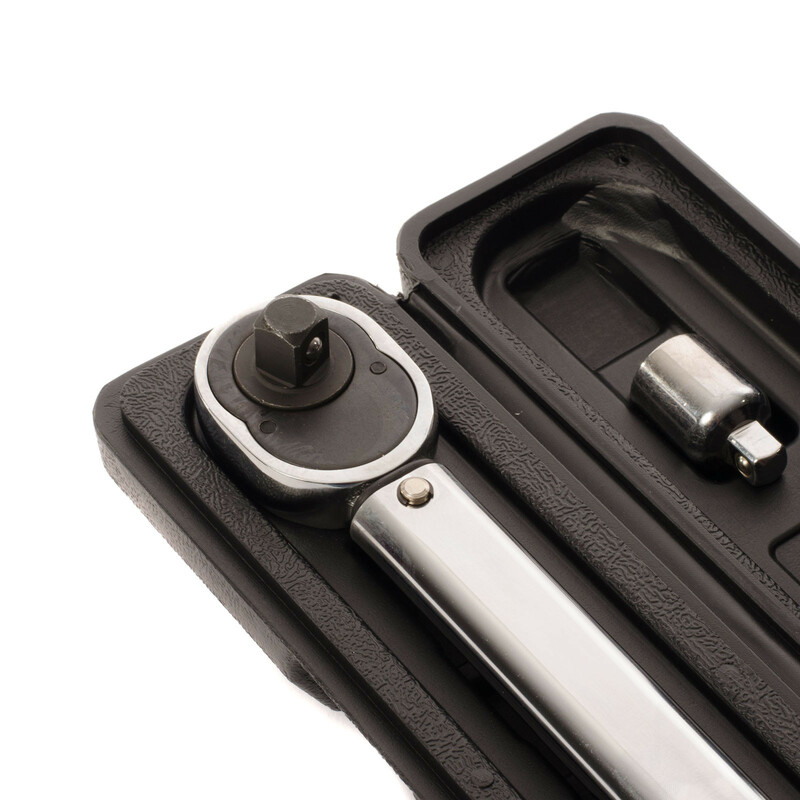 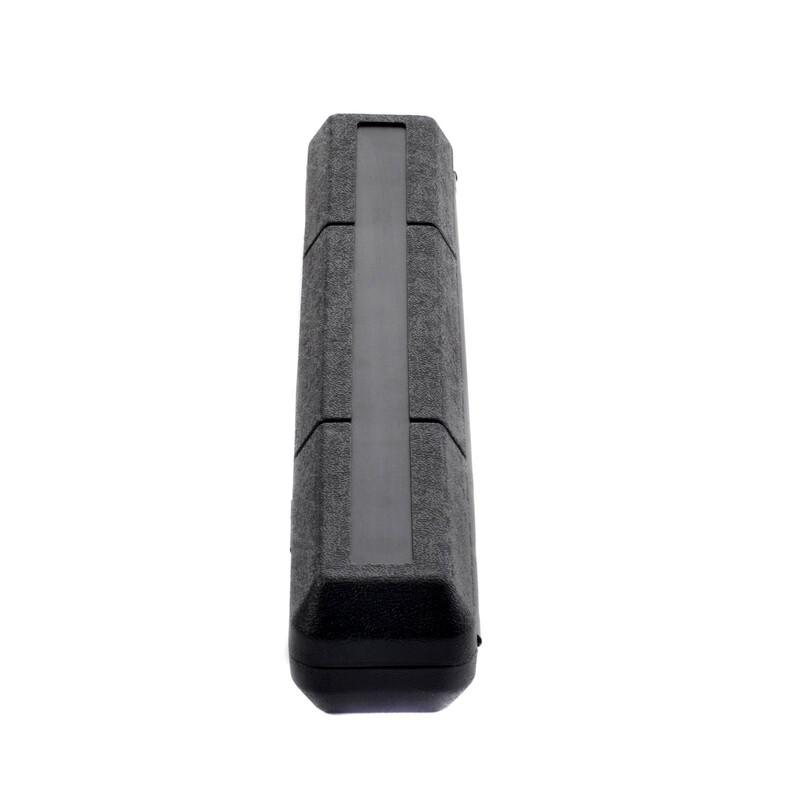 Coming supplied in a plastic moulded presentation case this extensive socket and Torx set offers unbeatable value for money. 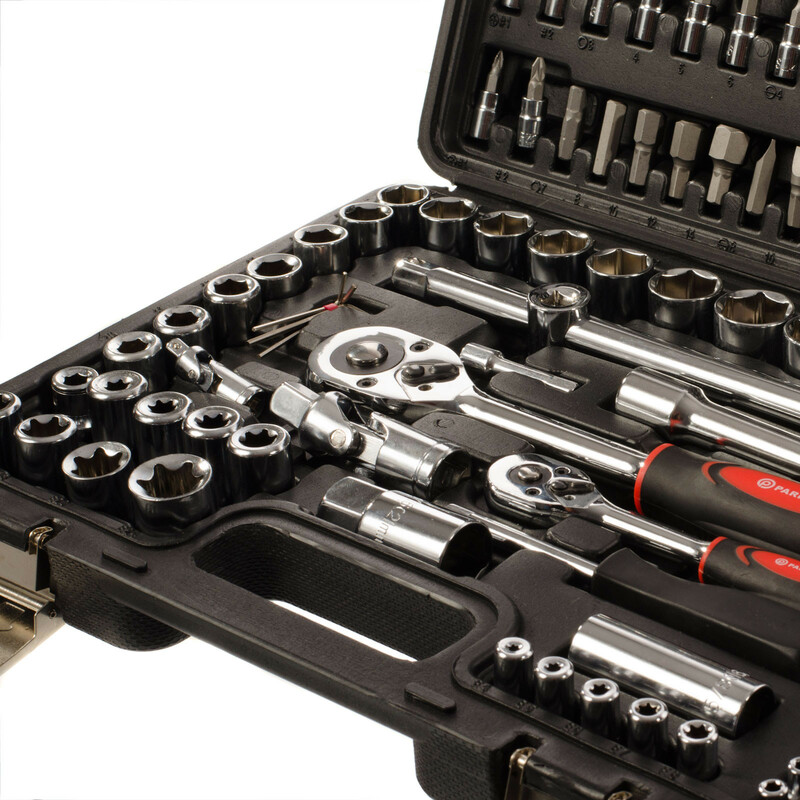 This versatile 108 piece socket set will help you to tackle a variety of everyday jobs with ease, thanks to its variety of popular sockets and accessories, all of which can be nicely stored away after use in the provided storage case. 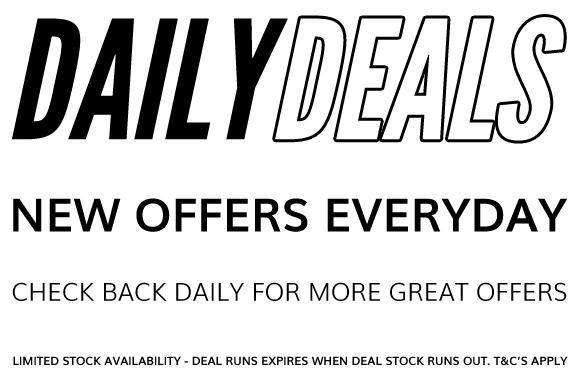 For a full list of what's included, please see below. 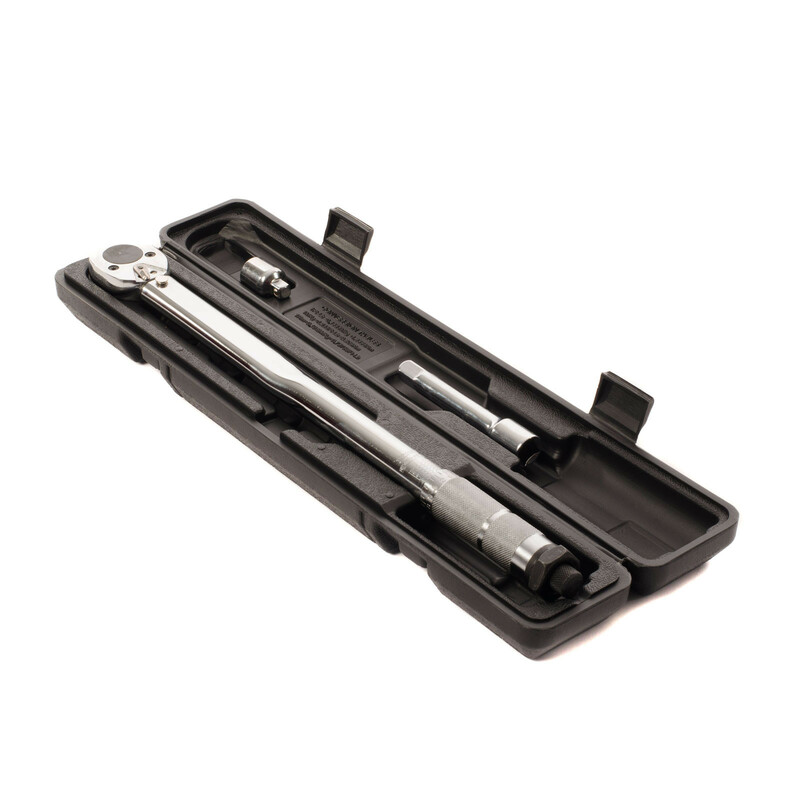 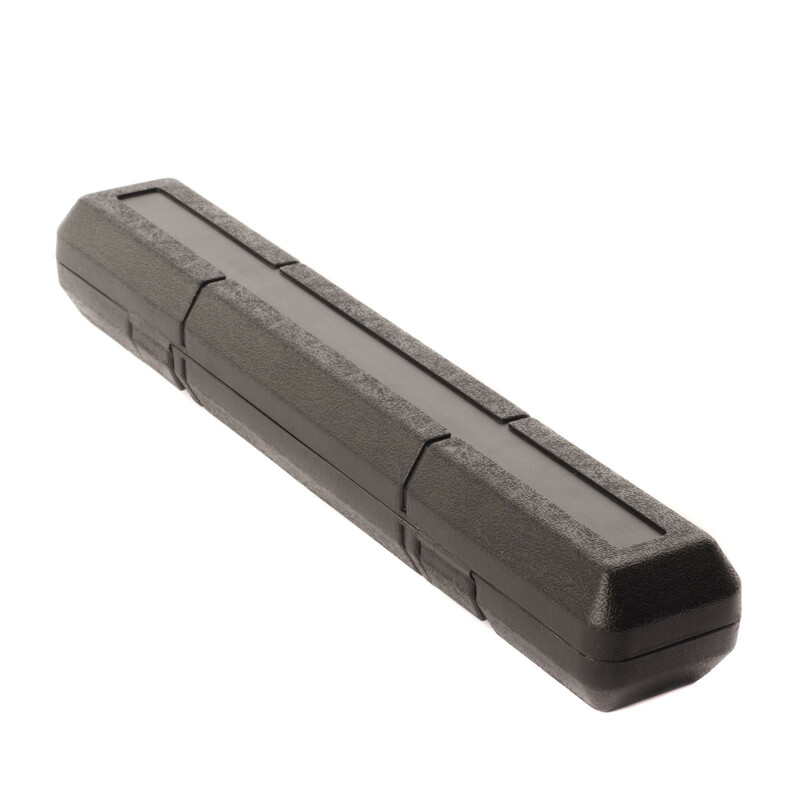 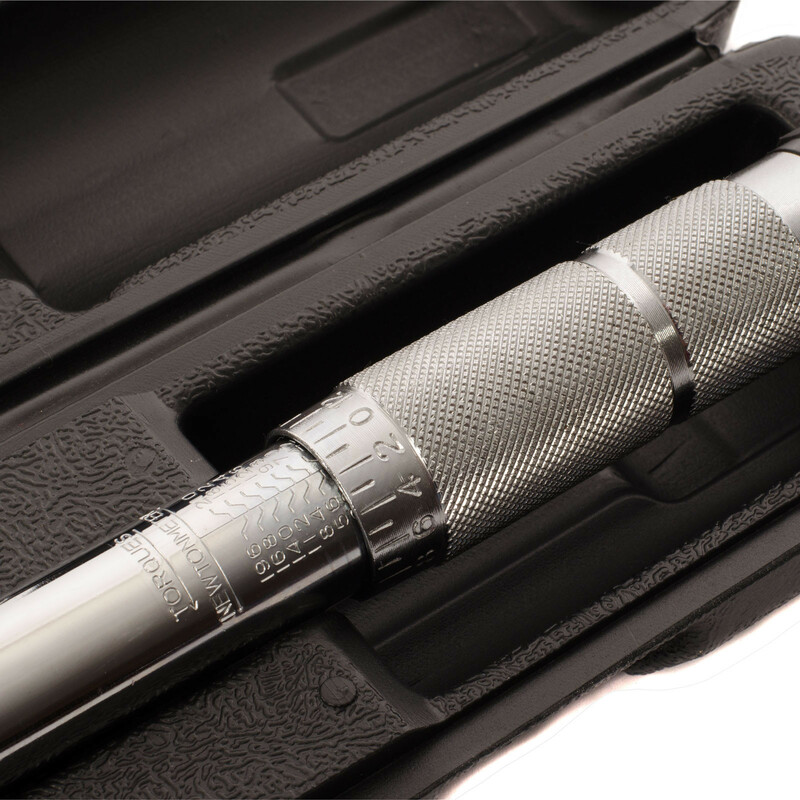 2 x 1/4" DR.EXTENSION BARS: 2" & 3"
2 x 1/2" DR.EXTENSION BARS: 5" & 10"
1 x 1/4" DR. SPINNER HANDLE: 6"
*Please Note* 1/4" Sockets do not come with the ball bearing retention system.